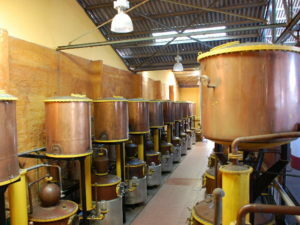 Pisco is a distilled spirit made from fermented grape juice (basically wine). 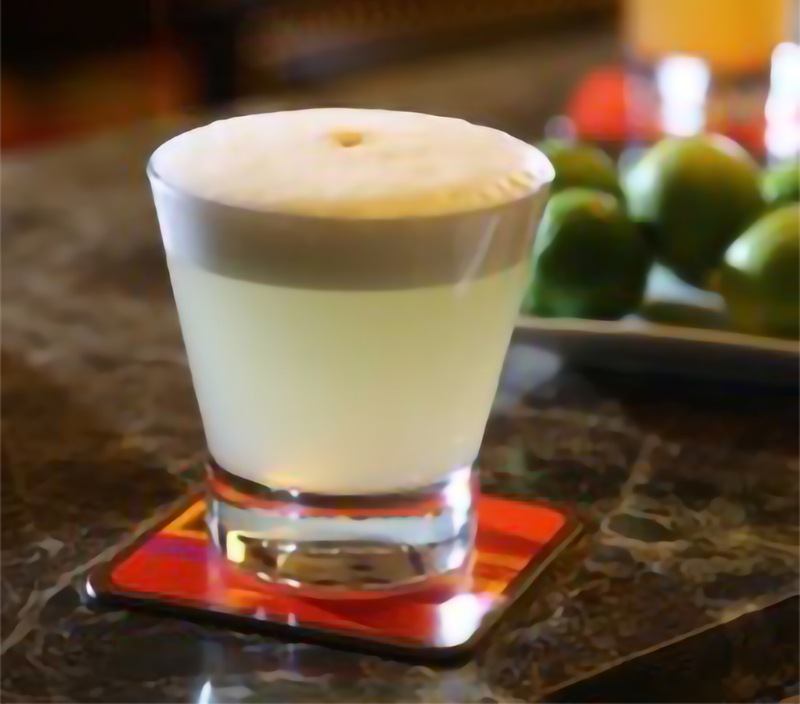 Pisco was conceived as an act of rebellion in the 1600s when the country was under Spain’s rule. The King of Spain, Philip IV, had imposed heavy taxes on all wine produced in Peru. So, the natives used a little ingenuity and made a distilled spirit from the juice as opposed to a wine. The name “pisco,” meaning “little bird,” is derived from the indigenous Quechua language. 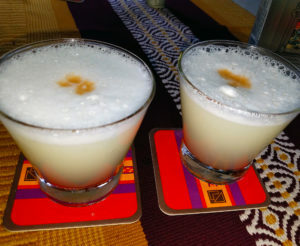 Pisco is a source of national pride in Peru, and the country is fiercely protective of its heritage and authenticity with strict regulations on how Pisco is made and presented to the world. Chile also makes Pisco but Peruvians will underscore that their country is the birthplace. The production area is a designated D.O. (denominacíon de origen) comprised of five separate coastal valley regions located south and east of Lima, Peru’s capital. They are Arequipa, Ica, Lima, Maquegua, and Tacna. 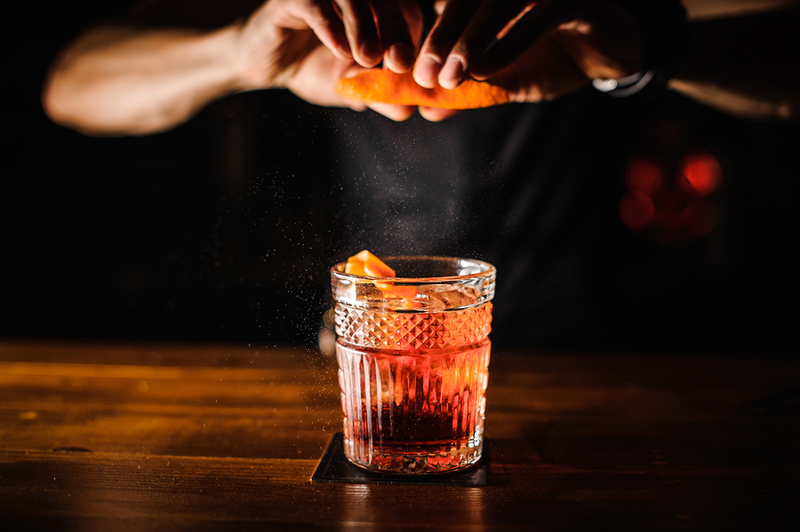 We asked one of the world’s foremost experts on Pisco to explain what distinguishes it from other grape-based spirits like Armagnac, Cognac, Brandy de Jerez, and Grappa. Johnny Schuler is Master Distiller at Pisco Portón, whose Hacienda La Caravedo is the oldest distillery in the Americas (est.1684). 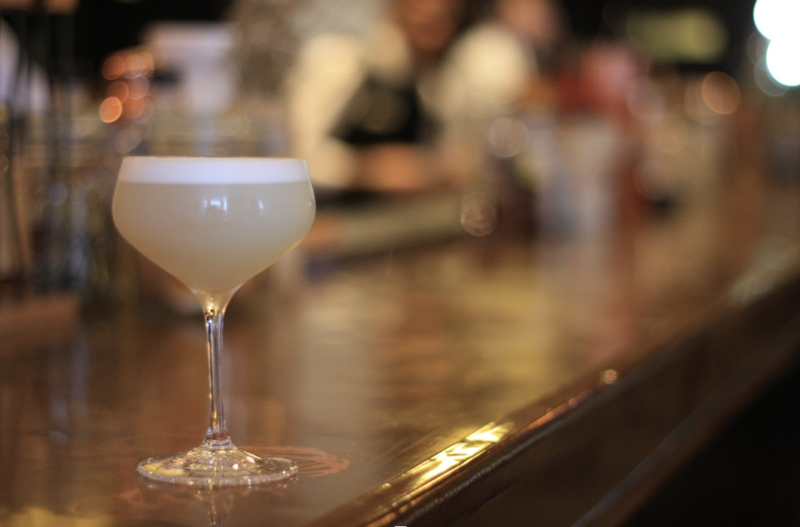 “Pisco is the soul and essence of Peru,” Shuler said with his customary exuberance. “It is unique in the following ways. “First, Pisco is made from wine, not grapes. Juice is extracted from the grapes to ferment and distill rather than crushing and using the entire grape and stems like a grappa, for example. “Second, Pisco may only be made from the juice of eight designated grapes which are classified as ‘aromatic’ and ‘non-aromatic.’ The non-aromatic grapes are Quebranta, Mollar, Negra Criolla and Uviña. Aromatic grapes are Albilla, Italia, Torontel, and Moscatel. “Third, Pisco is a natural spirit whose distinct aromas and flavors come entirely from the terroir and grapes used. It is distilled to proof. No water, coloring, other flavorings, or ingredients may be added. And we never utilize oak or any aging. Pisco is always crystal clear, unlike a Cognac, Brandy, or Armagnac. Johnny is so protective of the purity of the spirit that he washes the copper pot stills using the exact same Pisco that’s produced in the still. It can take 300 liters of Pisco to wash a 30,000-liter tank! Pisco has three distinct styles: Puro uses a single variety grape, either aromatic or non-aromatic. Acholado is a blend of two or more grapes of any kind. Mosto Verde a style that stops the fermentation process prior to the 100% conversion of grape sugar to wine. The result is a creamier, fuller style Pisco. Johnny is also a professional chef and restaurateur, owner of Lima’s Granja Azul and Key Club. I asked him how he would serve and pair the different styles of Pisco. With a little ingenuity, you can create your own Pisco cocktail at home, replacing vodka or tequila as your base spirit. Or, splash a little Pisco into pan-sautéed fish, a crêpe Suzette or over sliced chilled fresh fruit. This ancient spirit adds a modern touch to a dinner party dish and a contemporary twist to a classic cocktail. 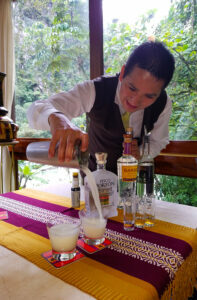 And, you’ll find many more restaurants and bars in the U.S. serving Pisco cocktails; the spirit has generated buzz among savvy bartenders. You could say Peru’s “little bird” has spread its wings. And the spirit of Peru has taken flight. Hop on board! Pisco is equally enjoyable sipped neat as an aperitif or digestif, or in cocktails. Try mixing your drinks with a Puro or Acholado. The slight creaminess of a Mosto Verde makes it lovely to sip straight. Like wines, Piscos have a vast range of pleasantly nuanced flavor notes based on the grapes used that can include delicate fruit and light floral notes to a touch of pepper and spice. Here are four exceptional Pisco brands to look for. All offer several styles and make a great house gift to stock a friend’s spirits cabinet.